For any computer the main important tool is “window”. If you don't have an best window then you are not able to work on it. I have an window for my computer that is window 7. This post is all about window 8. We all know that today window 8 is a current topic. Windows 8 is the current release topic of the Windows operating system, produced by Microsoft for use on personal computers, including home and business desktops, laptops, tablets, and home theater PCs. So i was trying to give some features and characteristics of window 8. Windows 8 started before the release of its predecessor in 2009. 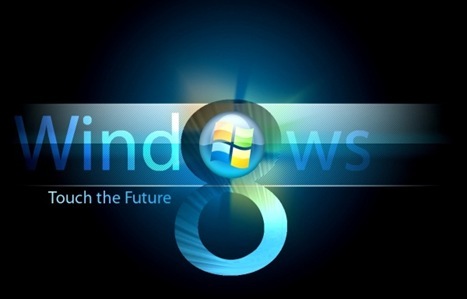 Below i have just post the top 10 features of window 8. Hope you liked it. If you find any query or any doubt then please do commenting, through which i can finishing myself for next article. Lol! 2) Window 8 provide an feature that it hide the recently opened items and recently opened programs from others. 3) Window 8 has a very nice and beautiful appearance with great improvement in internet surfing, gaming, etc. This window is best for all type of devices like laptops, computers, Window Phones, Tablets, etc. 4) Windows 8 extends the task bar across both screens. It provide multiple monitors at one time. isn't it cool! 5) Window 8 provide special types of application. These application are to be optimized for touch screen environments and have smaller scope in relation to desktop applications. 6) You can a create a library of icons on your screen. Now you can customize your Library icons right from its settings. 7) The load and boot up speed has improved significantly when it compared to window 7. This is due to better resource allocations to applications. In short, it has a speedy boot time feature. 8) It has an feature which we relates with easy gestures. I mean the Operating System supports touch gestures like swiping in from the left to switch applications and swiping in from the right. 9) Windows 8 works best when it connected to the web(internet) all the time. Moreover it provide live syncing, in which users can log in on any Windows 8 PC with ‘Live ID’ and get back their own personalized settings on it. 10) Its settings are so simple, users does not need to take much burden on him/her. It has simple settings. It has a fewer options compared to Control Panel. I am sure you will all enjoyed it.